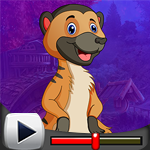 GenieFunGames - GFG Genie Lost Land Escape 7 is another point and click escape game developed by Genie Fun Games. After finishing level 6, you are going to play level 7 now. As we said earlier, this level is totally different from the previous levels. Enjoy the experience of the Lost Land Escape. Let's play and find a way to escape from this level and then be ready to play a next level soon. You can find useful stuff and interesting clue symbols to solve the puzzles and finally escape from the Lost Land 7. Good luck and have fun!